Purchased at Corti Brothers ($7.69/25.4 oz. bottle) and poured into wine glasses. This highly regarded concept beer from Cooperstown-based brewery Ommegang pours a reddish-brown with a sandy brown head. The smell is of wood, berries, cherries, and wild yeast, and indeed it’s strong and tangy on the tongue, barely bothering to hide its hefty alcohol content. 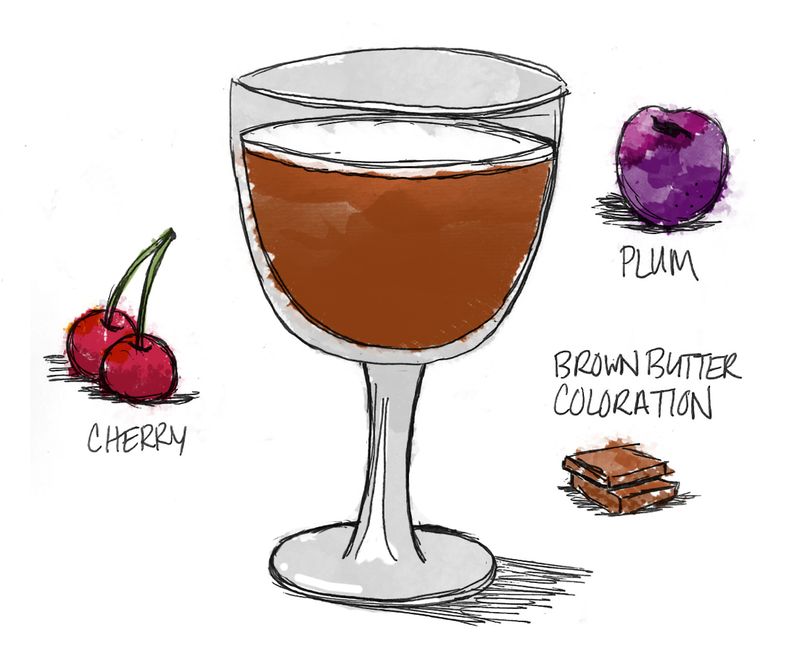 Sour cherry flavors seep in as the alcohol wallop fades, moving the taste from the brutish darkness of a strong Belgian quad into a mild dessert wine with a sour ale kick. The skeleton of wood barrels is present throughout, as is the hint of cherries and wild yeast. Three Philosophers is a little too strong to favorably complement the fruit flavors, and much like a good dessert wine, a little bit of it goes a long way.